Click the Gear icon > Company Settings. Click Sales on the left, and then click the edit icon for Sales form content. 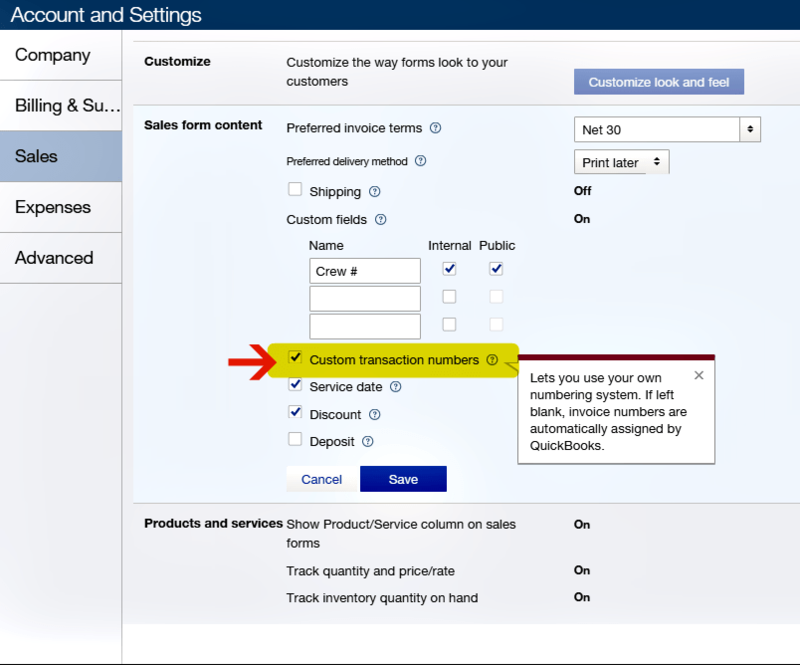 Select the Custom transaction numbers checkbox, and click Save.